Although still a few years away, tourists attending the 2020 Tokyo Olympics need not worry about moving around heavy luggage. A Tokyo official has confirmed that robots will be on hand at the Tokyo airport to help with translation, travel questions, and movement of luggage. Visitors will be able to talk to robots and receive an answer in four different languages. Equipped with a small display, end users will be able to both hear and read what the robots are trying to tell them in what is expected to be a very busy scene. In an effort to try and make up for lack of staff members, Japanese officials hope that the AI of robots will be able to get everyone where they need to go. Representative Yutaka Kuratomi of the Japan Airport Terminal wishes that Haneda Airport in Tokyo will be "scattered with robots" in time for the 2020 Olympics. Kuratomi believes that Japan has an obligation to deliver on the expectations of tourists thinking about the country's technology dominance. "We want foreign tourists to think that the Japanese people are cool when they come here," said Kuratomi. 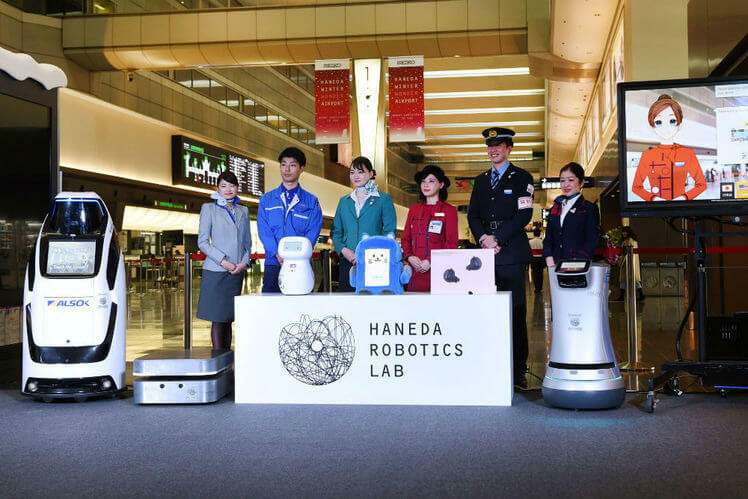 In total, a trial run of seven different robots will be conducted for a month at Haneda Airport beginning on January 9, 2018. The test run will ultimately determine how effective the current artificial intelligence software is in helping travelers and how humans adjust to interacting with machines on a regular basis. Robots continue to step in where humans cannot or when it is cheaper for robots to be put to work. If Japan is successful with its trial run, visitors for the Olympics should not be disappointed with the lack of traditional staff members available for assistance.